You'll be able to see the amount you have to spend and the actual bank balance. The running total allows you to see the available amount at any given point - whether it's during a shopping spree or after payday! 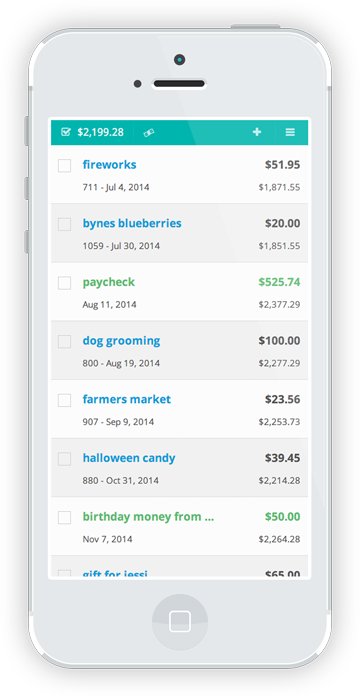 Easily find all your checks by searching for a keyword or within a date range. Want to find a check but you're not sure the whole description? No problem! Just enter any part of the description and we'll find it. 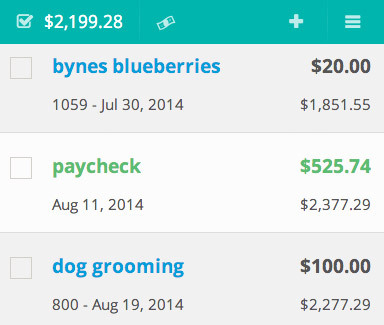 Simple interface allows you to quickly enter information about each check. Special input fields - such as a date picker and numeric - make it easy to enter your information on your computer, phone or tablet.